PotValet features the best and newest Technology in Cannabis, the Clear Co2 extracted Triple Distilled Marijuana oil cartridges, are the cleanest and purest form of Marijuana concentrates in the world. Buy Hi Tone products today exclusively at PotValet. It all starts with Hi Tones Unique CO2 extracted triple distillation process, ensuring the cartridges hit 91% + THC and are completely clear. Buy the Triple Distilled CLEAR Marijuana Oil Cartridges today from your local PotValet location. This product is the purest form of Sativa concentrated Marijuana oil anywhere in the world. Testing above 91% THC sets this product aside from the competition. This is the best concentrate you can find anywhere. Pot Valet brings the top Marijuana products to all patients and once you try the Clear Marijuana Oil cartridges testing at over 91% THC you will never go back to another lesser brand. This is the purest and clearest cartridges you will ever use. 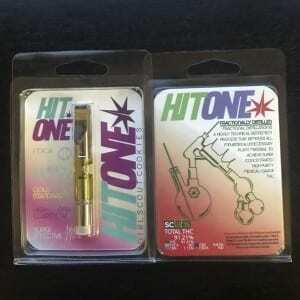 How to use the Hi Tone CLEAR Marijuana Oil Cartridge (Sativa)? If you have an Epen, then this cartridge will most likely fit the normal E-pens which are sold across the world today. Hi Tone is a Super tech cartridge that has been designed to not get clogged and works with almost all E-pen vaporizers. This is THC in the Purest and cleanest form, CO2 extracted Marijuana Oil, resulting in a Clear and triple distilled cartridge, ensuring the highest purity of any cartridge. Hi Tone unique CO2 extraction process is, Co2 extrated and tipple distilled, resulting in 91% + THC content in every Hi Tone Cartridge PotValet carries.